TGS Library, 2717 SE Indiana Ave.
Co-facilitated by Jan Droge and Rich McReynolds. Learn how to utilize DNA testing as part of your genealogy research toolkit. Come to learn, get your questions answered, and share your DNA testing experiences with others. Come if you have had your DNA tested, and are not sure what to do with the results. This group includes the former Beginner and Intermediate DNA SIGs. NOTE THE DATE CHANGE - TUESDAY, MAY 14th! Bring your brick wall genealogy problems, and your knowledge and experience to help others solve their problems. We'll share and work together to break down those brick walls! This group is a benefit of TGS membership, open to current TGS members only. Join us for a fun afternoon exploring all the ways to make the most of your cemetery research trips. We'll learn about the "dos" and "don'ts", what to bring, tips for taking better photographs, tombstone rubbings and grave-witching techniques. Class will begin at the TGS Library, and will then adjourn to the historic Topeka Cemetery for some hands-on practice. Class is open to TGS members and the general public. PRE-REGISTRATION IS REQUIRED. Registration fee: $20 for TGS members, $25 for non-members. Register online HERE, or download and print a registration form below. Marty Flanagan, a local DNA expert, will discuss how DNA evidence can enrich your life and help to break down Kansas History brick walls in your family history research. Program is free, and open to the Public. No registration required. Topeka Genealogical Society, 2717 SE Indiana Ave.
As genealogists, we LOVE doing research and learning about our ancestors. But, sometimes, not everyone in the family is as interested or enthusastic about the information that we find. Citing names and dates and other "cool" factoids may be met with eye rolling and head shaking. Names and dates may not mean much to some family members, but there are many other creative options for incorporating genealogical information or family memories into items that will be more interesting and perhaps stimulate a greater appreciation for family history. This workshop will be informal, with a "Show and Tell" format. 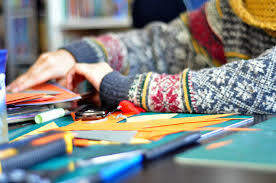 Workshop presenters will have numerous examples to share, and class particpants are invited to bring and share their own examples of creative ways in which they have successfully shared family history with their family members. The workshop will be led by Barb LaClair, and possibly others to be determined. This workshop is free, and open to the public. To ensure that we have adequate supplies and space, pre-registration is required. Click here to register online. Topic: To be announced as they become available. Sara Keckeisen, reference librarian at the Kansas State Historical Society, will share tips and tricks for using this awesome resource located here in Topeka. Wendi Bevitt, from Buried Past Consulting, will provide information about the 105 Kansas Counties that may help with researching your ancestors. Once you have found your ancestor's draft card, where should you look next? This presentation about the history of the Great War will discuss both military personnel and civilian resources. Danni Altman-Newell from the Kansas City area is an expert in this field and will be presenting the program. For the rest of us, with no interested family members waiting in the wings to continue or even preserve our work, there is a significant risk that our accumulated research findings will perish when we do. If you do not want all of your hard-won genealogical information to go out the door in black trash bags, then this workshop is for you! This workshop will explore ways that we can proactively plan ahead to increase the likelihood that our genealogical legacy will be preserved and available to future generations. NEW CLASS OFFERING FOR 2019! 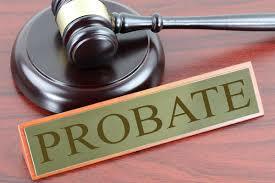 Probate records can be a goldmine of family information and insights. 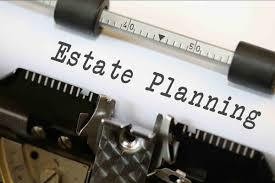 Most genealogists understand that a Will naming heirs can help to establish family relationships, but there are many more clues buried in probate records. This class with cover how probate records can be useful in genealogy research, types of records commonly found in probate proceedings, basic terminology, where to look for probate records (both online and off-line) and more. Class will include hands-on practice researching a probate case using records available at the TGS Library. Suggested skill level: Some basic genealogy research experience is suggested. Class will be led by Barb LaClair. PRE-REGISTRATION IS REQUIRED. Registration fee $20 for current TGS members, $25 for non-members. Register online HERE, or dowload a brochure and registration form below. Note: If this class does not have a minimum of 3 students enrolled at least 5 calendar days prior to the class date, class will be cancelled. In the event of cancellation, registered participants will be notified and paid registrations will be refunded. 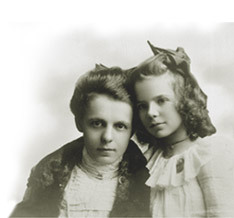 In this program, members of the Topeka Genealogical Society will share breakthroughs that they have experienced in their family history resarch, and provide tips to help you break through your Brick Walls.